You’ve told us that uploading a file simply to check one or two numbers is a pain and we understand that, so we’ve now given you the ability to check a single number straight on-screen. 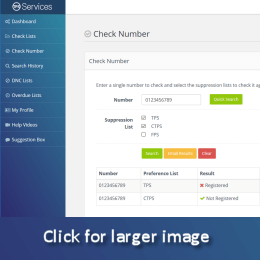 Simply enter a number and get an immediate on-screen response with the results of your check and, if you need it, the ability to print a Certificate of Audit right there and then. 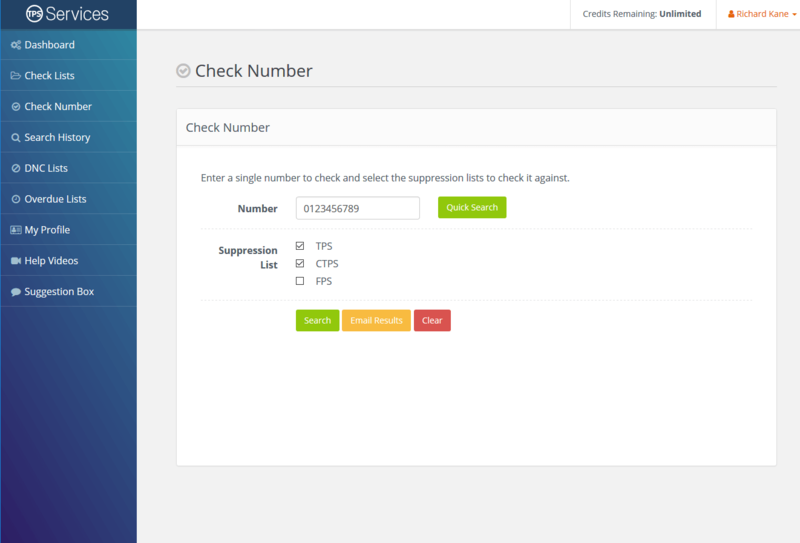 Simply enter the number you wish to check. 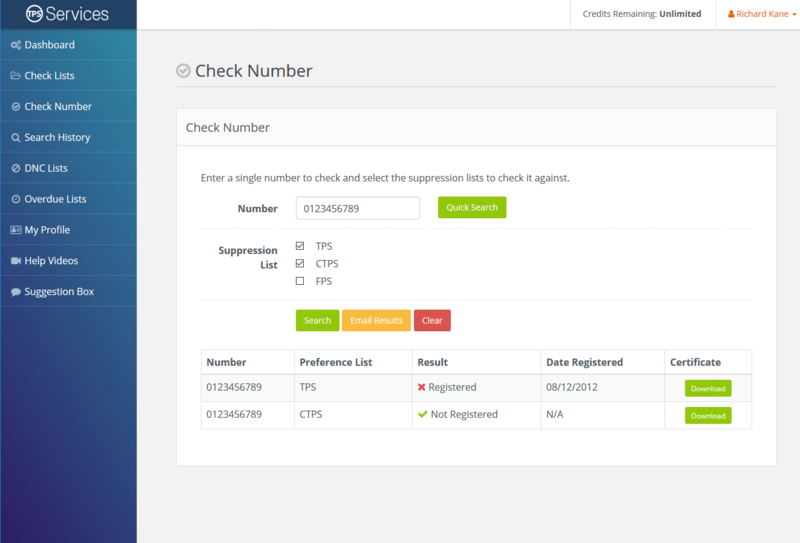 You can copy and paste it straight from your spreadsheet, word document or CRM system. 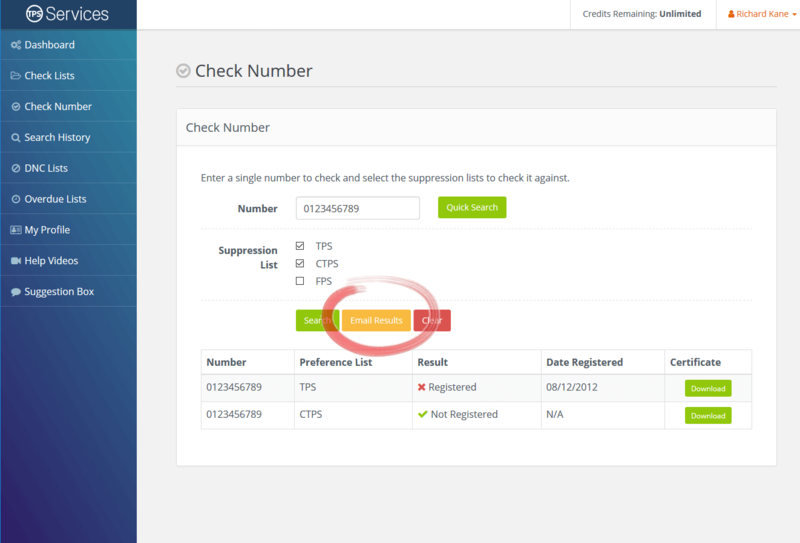 Don't worry about the formatting, our system will reformat the number and run the check. The results of your check will be shown immediately on-screen. 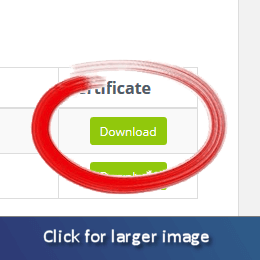 If you need one, you can also download a Certificate of Audit. 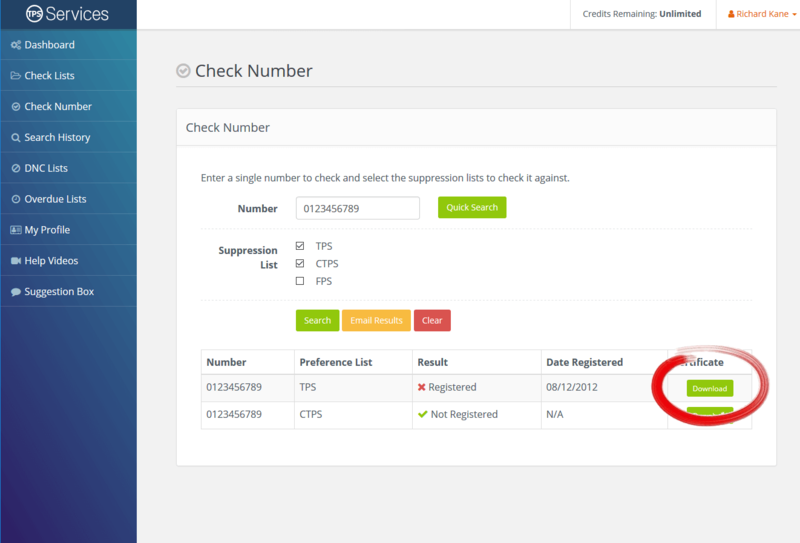 Don’t worry if you don't need it now or if you forget as you'll be able to run a search of your TPS checking history and print a certificate from the search results at a later date if you need to. 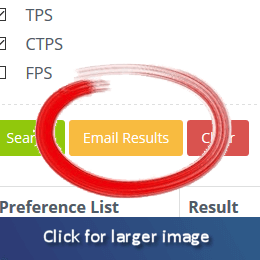 If you want to keep a note of the results of your TPS Check for later or to send on to a colleague, simply click the “Email Results“ button and we’ll send you a copy of the results together with a copy of the certificate to your registered email address.